1. 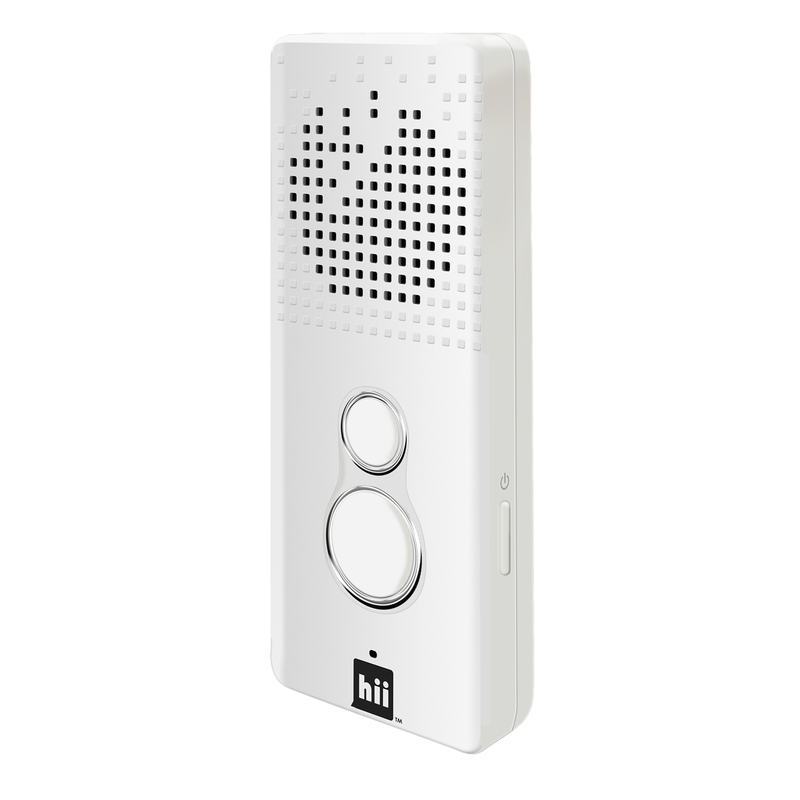 Prior to using “hii”, please charge the battery fully for the first time. 1. Charging time: Normal full charge time is around 1.5hrs. 2. Plug in the Micro USB cable to the Micro USB port on the bottom of the hii and connect the cable to your 5V/0.5A charging adapter or PC. 3. Charge indication: During the recharging of battery, the red LED light will turn on. When it is fully charged, red LED light will turn off. The charging mode will be auto shut down when it is fully charged to protect the device. 1. Big button is to receive the voice from your side(native language), long press it, when you hear the prompt tone start to speak, release the button when you finish the word/sentence, “hii” will process the translation with the chosen language automatically. 2. Small button is to receive the voice from the other side(foreign language), operate it with the same process as big button. 3. Choose target languages by touch the two buttons of screen. 4. 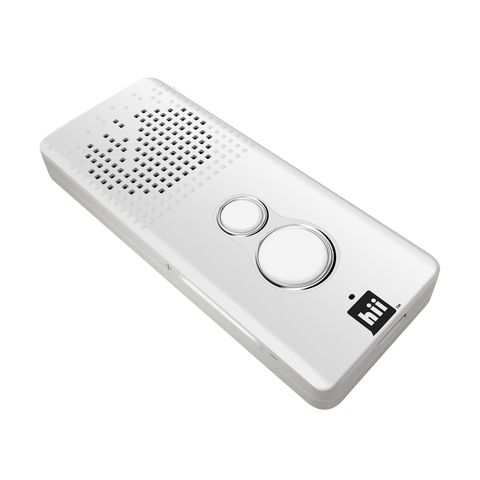 Double-click the power on & off button to repeat the last word/sentence. 5. When using “hii”, long press the button of “+” for volume up, long press button of “-” for volume down. 6. 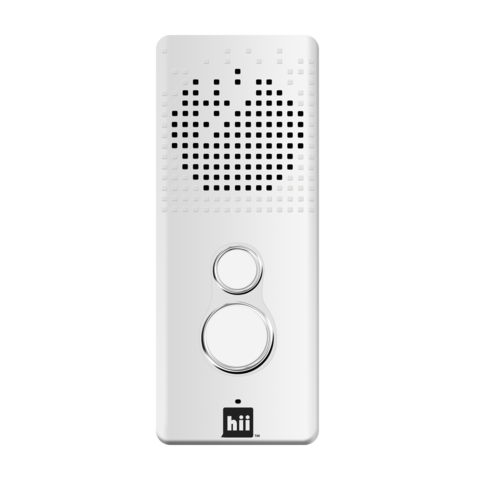 “hii” will activate power saving mode automatically (power off), if there is no ongoing operation for 15 mintues, long press the power button 3 seconds to wake translator audio up. 7. Luminous lights surrounding with the big and small buttons. It is convenient for using in the evening. 1. The specification and network speed of your Bluetooth enabled device will affect the speed of interpretation. 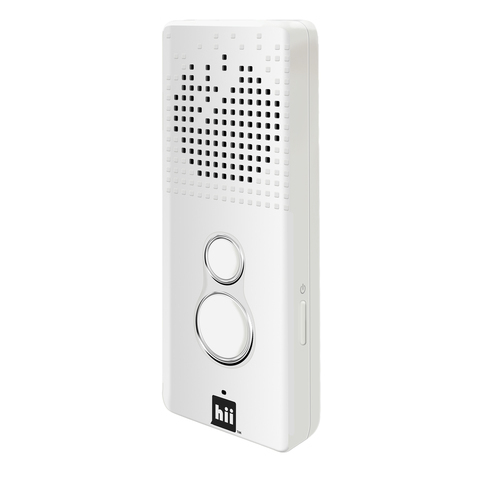 Package included: Translator audio device, Micro USB charging cable, Carrying strap, Instruction manual.